In-N-Out Burger is one of America’s popular burger joints. It is committed to delivering made-to-order, fresh foods. Its menu remained unchanged since the first store opened. The first store opened in 1948 in Baldwin Park, California. It was founded by Harry and Esther Snyder. The stores are still privately operated and owned by the Snyder family, headed by the only grandchild, Lynsi Snyder. The company has opened stores in various locations over the years. It now has stores in Nevada, California, Oregon, Texas and Utah. To date, the company operates 329 stores. The store’s popularity is a result of honest, good food and excellent customer service. Employees receive competitive salary. Associates receive $11 per hour. Some positions come with a piece-count bonus. There are also free meals, paid vacations and 401k plan. The company is an Equal Opportunity Employer. Associates can get into the company’s ongoing training program for skills development and preparation for career growth. They have the opportunity to get promoted to managerial positions. How old do you have to be to work at In-N-Out Burger? The stores accept teenagers to work at entry-level positions. The minimum age requirement is 16 years old for Store Associates and similar level of job positions. The culture and the working environment of In-N-Out Burger are rewarding in so many ways. Salaries and benefits are competitive, even at times on the higher end of the industry’s salary range. People interested in working at this dynamic, rewarding and fast-paced environment can choose from various restaurant and corporate positions. Store Associate: A Store Associate does most of the important duties in the store. He delivers excellent food and dining experience to every customer. Flexibility, speed and efficiency are needed. The Associate will have to move from one place to another fast, moving around obstacles and among the crowd. Work tasks will be assigned by the supervisor. Cleanup Associate: Cleanliness is of utmost importance in the store, from the floor to all equipment and furniture. The Cleanup Associate will make sure everything is clean and store sanitation is up to standards. This person may be required, on occasions, to operate store equipment such as grills, fryers, dicers and slicer. Parts Associate: This is a full-time job that assists with controlling and organizing the inventory of the maintenance department. The Parts Associate coordinates the orders for parts, which includes restocking, verifying, receiving and shipping. Tools and supplies inventory are managed by this person. Whenever necessary, the Parts Associate will also assist with delivery and pick-up of parts. Order Puller: The duties of the order puller are mainly in the warehouse. Core responsibilities include preparing orders for deliveries, and receiving and processing of warehouse products. Routine order pulling activities include movement of food items from the storage area and onto the shipping pallet. Products must be kept separated and organized for efficient food item rotation. Production Entry-Level Labor: This is an entry level position with an important contribution to the store’s operations and goals. The responsibilities are carried out mainly in the meat department. The duties include stacking meat patties and inspecting products to ensure proper packaging before the food item is moved. Butcher: This important job position handles the meats to make sure that the proper cuts and top quality meats are used for all of the store’s food items. This job involves de-boning and removal of bone, gristle and excess fat. Any imperfections are checked in every cut of meat and reported accordingly. Meat Department Maintenance Technician: The main responsibility of this technician is preventive maintenance of the meat department’s machinery. Repairs are also handled, with proactive maintenance of all the department’s mechanical systems. Basic knowledge about plant automation and refrigeration, including HVAC and ammonia refrigeration are important for this job. This job will involve working in cold conditions. Sanitation Technician: The duties of the sanitation technician are performed in the meat processing department. Maintenance of the commissary plant equipment’s sanitation is the Sanitation Technician’s top priority. Cleaning procedures must be properly executed according to the standards of the USDA and of In-N-Out Burger. The Technician also ensures that the chemical concentrations used in sanitation are monitored and documented. Steam Cleaner: This full-time job assists in steam cleaning the stores’ premises. The Steam Cleaner is responsible for inspecting areas and identifying which needs steam cleaning. This position will also identify and prepare the right cleaning materials to use such as chemicals, water and soap. Inventory of the cleaning materials and chemicals are monitored as well. Night Sanitation Supervisor: The job requires working the evening shift in the store’s meat processing department. One of the core responsibilities of this position is ensuring cleanliness and sanitation of the facility and equipment. The Supervisor also oversees the store’s sanitation technician team, including making work schedules for regular duties and special projects. Applications are done through online submission of a completed application form. The submitted forms are forwarded to the store that posted the job position applied for. Some store may accept walk-in applicants. These walk-ins are usually not posted on the website. Stores accepting walk-ins will be posting the job vacancies right at the store. Online applications require basic personal information. Provide as many information applicable in the appropriate fields. Be as detailed as possible to give the store a better insight on the applicant’s qualifications. A resume must be sent with the properly filled out online application form. The resume provides comprehensive information on the applicant’s skills, trainings (if any) and previous employment. The company offers reasonable accommodations upon request if the applicant needs it in order to complete the interview process. Interviews are generally held within 1 week or so of completed application, depending on the need for the position. The company believes in fresh, great-tasting food. Each item in the menu is made with the highest quality ingredients prepared in a clean environment and served in a friendly manner. The company has built a reputation for made-to-order, fresh foods. They also have created a reputation for helping the community in various programs, charities and partnerships. They believe that communities can become safer, stronger and better places for everyone. 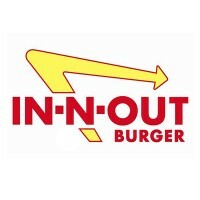 In-N-Out Burger has consistently been in various lists of top restaurants and burger chains. One recent is making it to the top of the Harris Poll’s list for the nation’s best burger restaurant brands for 2 straight years. Since 1984, the company has been supporting efforts at helping abused children. The company founded the Slave 2 Nothing Foundation to support efforts at helping victims. Donations are accepted and the company matches it 3-to-1. 1 How old do you have to be to work at In-N-Out Burger?